Speaking to the BBC FOCUS on Africa on Friday, the ex-president of Liberia, madam Sirleaf made some clarification about the Banknotes that were printed. 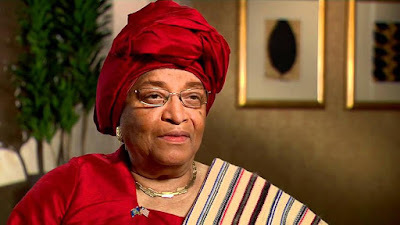 For the last few days, Liberia has been trending on all major media platform about 16 billion Liberian dollars missing from a container that arrived in Liberia last year. Speaking to BBC Focus on Africa, madam Sirleaf said, "This container that they’re talking about, the Minister of Finance has been clear on that, he said there’s no missing container, there’s no missing money. I am certain whatever my administration did was in accordance with the law and the constitution and there has been no money that has been missing. The Central Bank has already done an investigation on the direction of the Minister of Justice. Why haven’t they released the report of the investigation? Why are they sitting on it? Has the President realized what he has done to the country? The reputation of the country is also at stake. They’re talking about 16 billion, do they know what the GDP of this country is? The Central Bank is an autonomous institution, the National legislature by its constitutional role gives approval for the printing of banknotes – the record on that is clear. Why they didn’t take time to look at the records before coming up. What a clearly lies. I’m angry, I’m shocked. When it comes to the government, I say this is our country, we have a new President, we all must support it for the good of our country. I’ll like to call on the government – even that the country’s reputation and innocent people’s reputation has been impugned – they must go back to the media and say that the investigation is concluded and the evidence and facts are known, they must go back to the media and correct it. They should take time and check the facts, take time and go through the process. President Weah has not address the nation on the missing billions sage. What do you think?